The cashew nut is a beautiful thing! 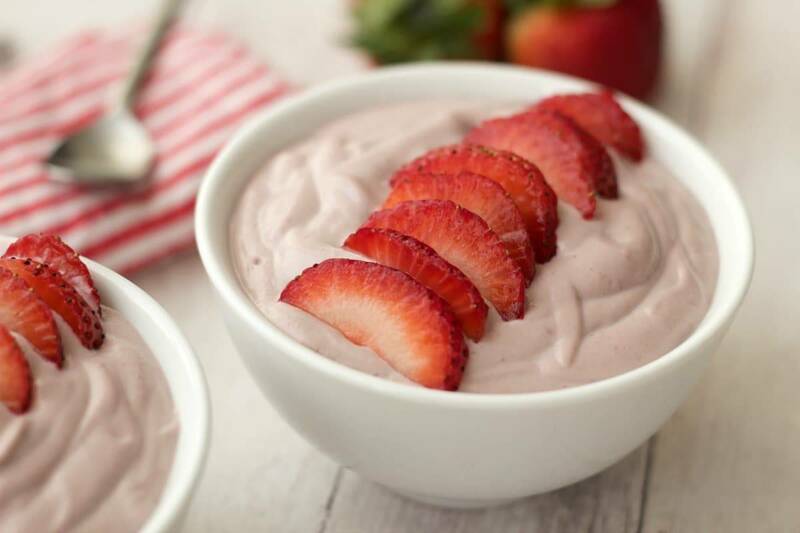 It can create all kinds of creamy dreamy deliciousness, and this strawberry cashew yogurt is no exception. 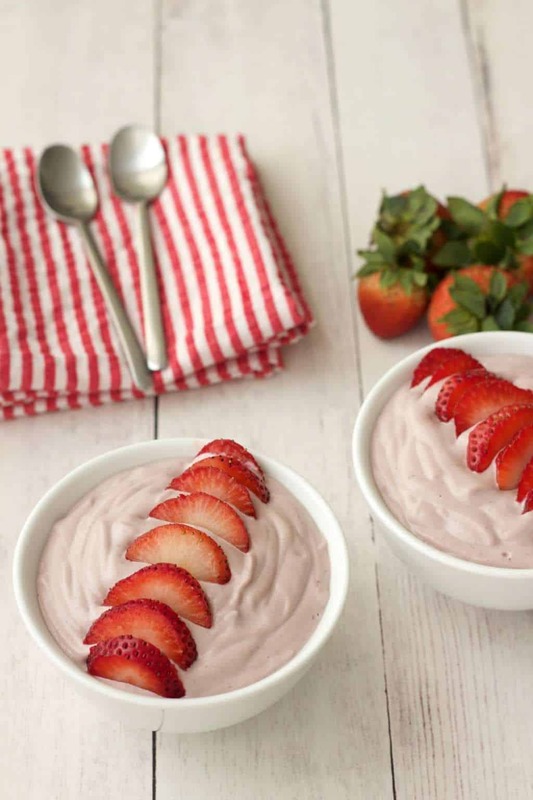 This recipe was inspired by a reader request that I do a vegan yogurt. I had it on my to-do list for months! The reason it took so long was I was initially planning to do a coconut yogurt but I am most definitely too lazy to cut open numerous fresh coconuts to dig out the coconut meat. So I was looking for frozen coconut meat or some other way for ‘someone else to do it for me’ which didn’t work out too well as I definitely did not find any of those options around here. And then like a little lightbulb flash in the ole’ noggin it hit me. 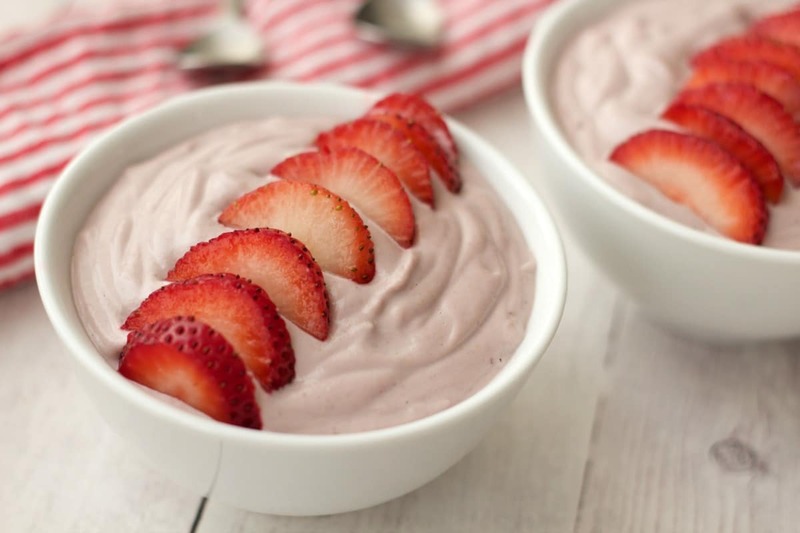 Why not make a cashew yogurt instead? Soooo much easier when you don’t have access to done-for-you coconut meat. And cashews are wonderfully up for the task. 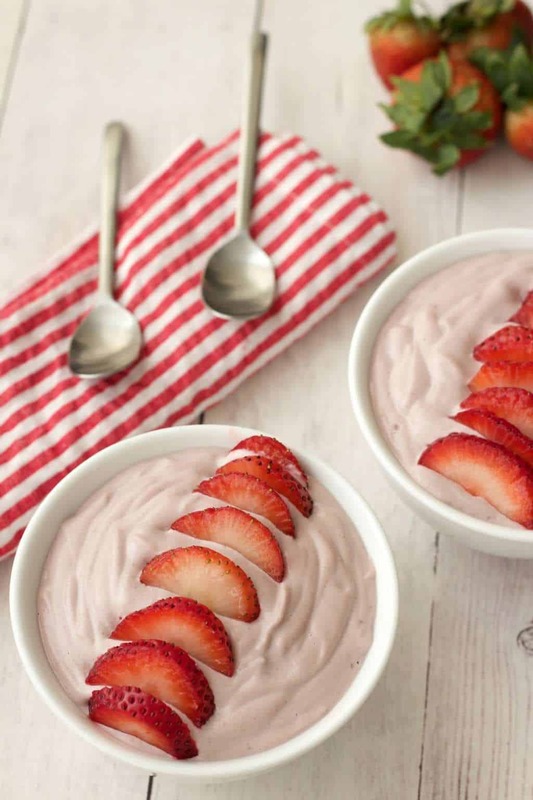 They’re so perfectly creamy and smooth in texture and this recipe requires just 8-ingredients and you have yourself some cashew yogurt that can rival any yogurt you’ve had before! 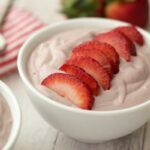 It also takes only 10 minutes to prepare this strawberry yogurt, so complicated yogurt making techniques are definitely not required! 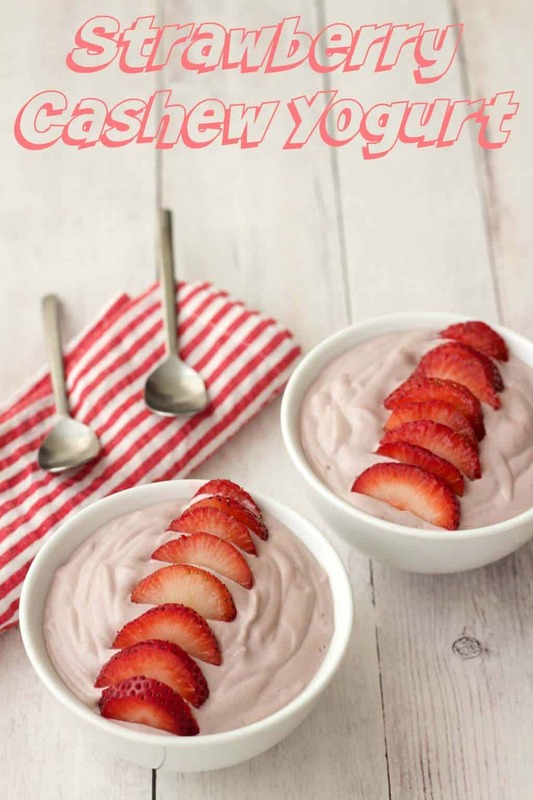 This strawberry cashew yogurt is perfectly smooth, wonderfully creamy, has the ideal amount of sweetness and that mild tartness that any self respecting yogurt expects to have! 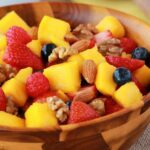 This makes a fabulous snack or have it for breakfast served with fresh fruit. 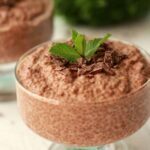 So let us know what you think of this recipe by leaving a comment below! Rate it if you’ve made it and let us know how it turned out! And if you take any pics, please tag them #lovingitvegan on instagram so that we definitely don’t miss out on seeing them! Thanks! 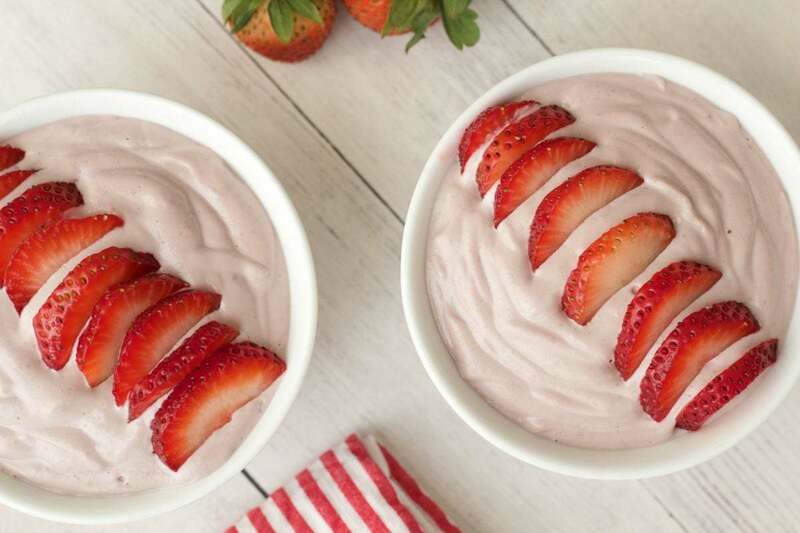 Smooth and creamy strawberry cashew yogurt. 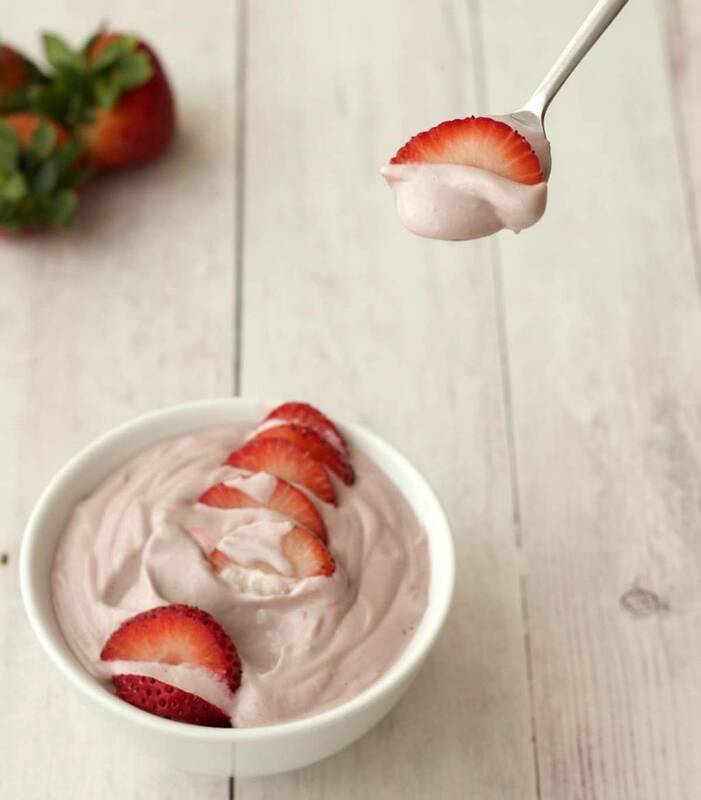 Perfectly sweet with the mild tartness that any self respecting yogurt needs to have! 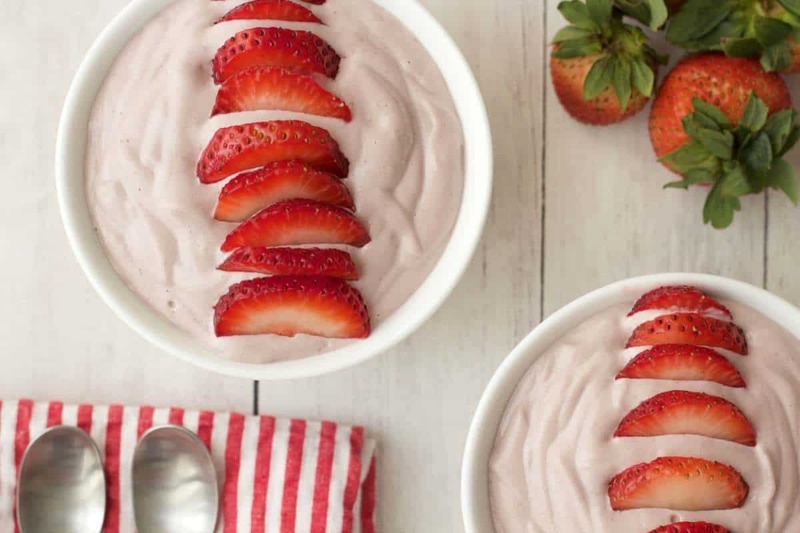 Fabulous as a snack or for breakfast served with fresh fruit. Soak the cashews in water for 1 hour. 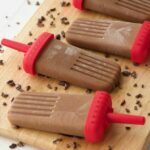 Then rinse and drain them and add to a blender jug along with the coconut milk, lemon juice, vanilla, sea salt, maple syrup and strawberries. 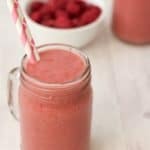 Open up the capsules of probiotics and empty the contents into the blender jug. Blend until it is very smooth and no longer grainy. This may take a few minutes. If you have a tamper attachment with your blender, then use this to push the ingredients down onto the blades. 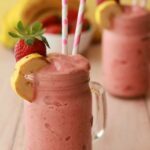 If not, then stop regularly and scrape down the sides of the blender and blend again. 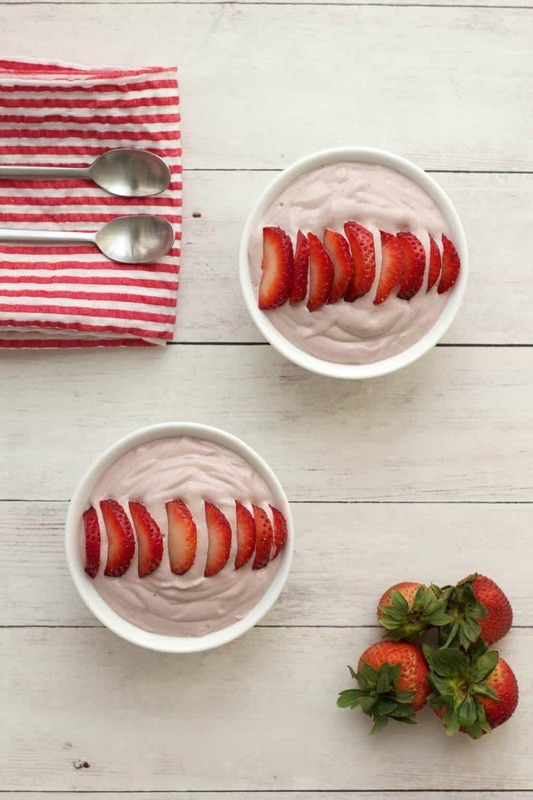 Pour out into two bowls and serve with fresh sliced strawberries. *This makes 2 generous servings of cashew yogurt. If served with more fresh fruit, it could serve 4. 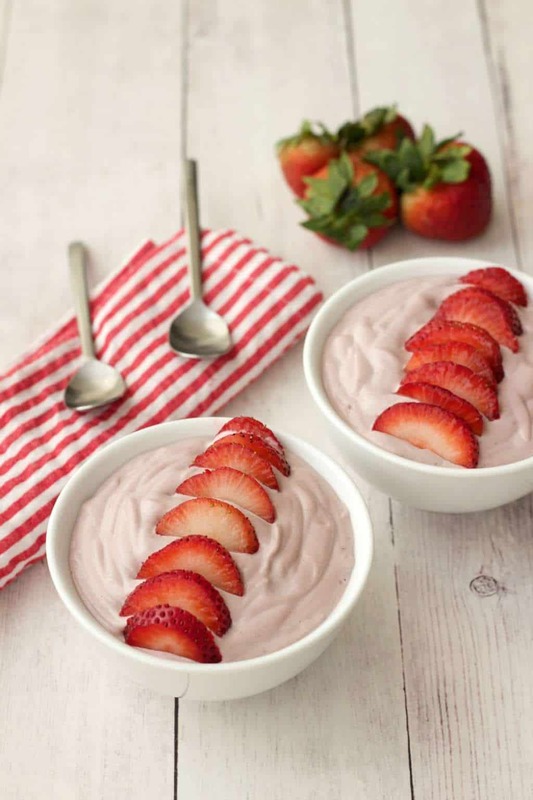 Do you think you can make this without the strawberries to create a Greek-style yoghurt? Yes definitely! 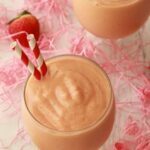 You might need to add a little more coconut milk to replace the liquid you’re losing from omitting the strawberries.